It has come to my attention that my green smoothie consumption is at an all time high. I definitely feel the difference when I skip my morning dose. 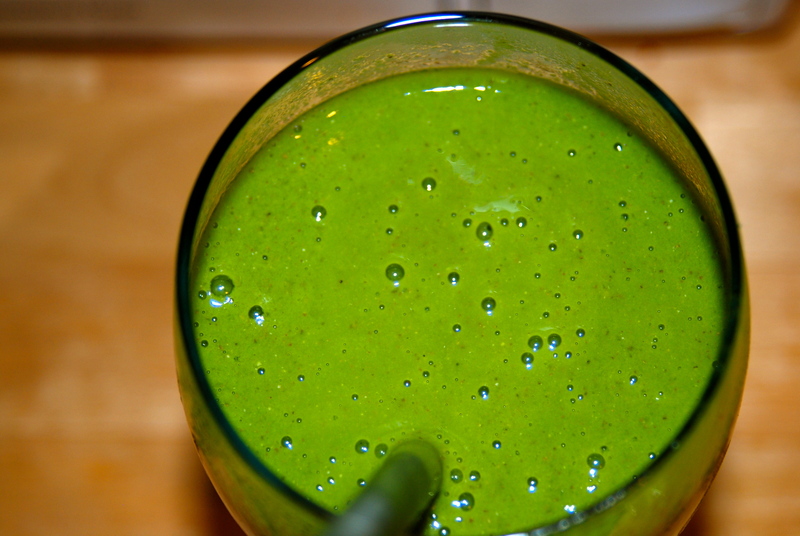 If you have no clue where to begin in terms of green smoothie making, you are not alone. 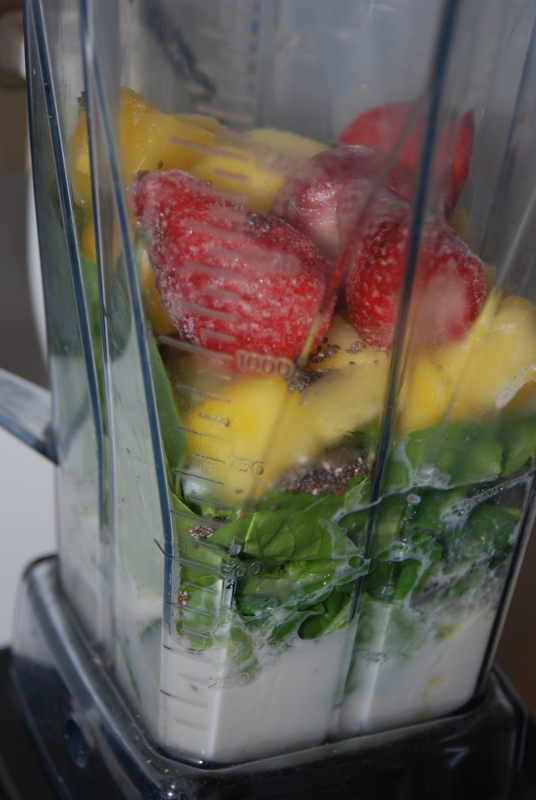 Many people have asked me what the heck I throw into my blender every morning. Unfortunately, I have made a few undrinkable creations before. So, before you blend up a cup of yuck (that will turn you off to green smoothies for the rest of your life) learn from my mistakes, blend up something delicious, snap a picture of your creation to share with me later, and enjoy! I use a VITAMIX, which blends the kale perfectly. 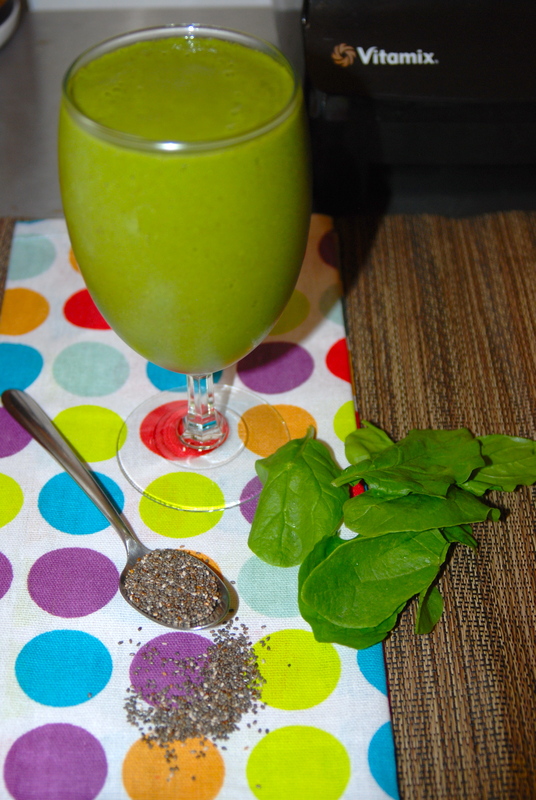 Using a traditional blender tends to create a smoothie with small, chunky kale bits that can be undesirable! Use baby kale OR dino (lacinato) kale. Baby kale doesn’t have tough center stems, so it tends to be easier to blend up. Both the baby and dino kale have a more mild flavor than curly kale. Freeze grapes to throw in your smoothie- they increase the water content & taste great! Peel & freeze cubed zucchini for a nutritional boost. Use sparingly, flavor can be strong. These three things are simply delicious when added to the right combo of ingredients! You can always add more, but you can’t take something out of your smoothie once it’s blended!! If you have any smoothie requests or questions, let me know! Rise & shine, it’s green smoothie time! 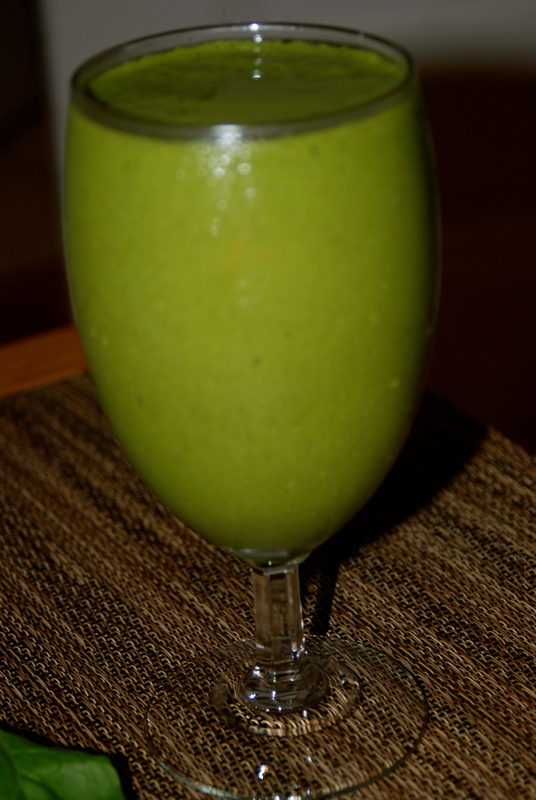 Reminiscent of a Creamsicle, but full of green goodness, this smoothie is a great way to start your day! Comment if you’d like to see a particular type of smoothie recipe posted on the blog! This post is great!!! Love all the ideas and your sunrise recipe sounds delicious. You have really made it easy for a newbie (like me!) to get into green smoothies! Great job lady!!! Wow this is a great post!! You should Stumble this if you haven’t already! I don’t have a Vitamix, just a baby food processor, which is why I don’t make too many green smoothies. However, the one homemade green smoothie that I DID have was really good.